Your richly colorful ceremonial ribbon will be the focal point of any ceremony or celebration when you customize it with White print of your logo, company name, or a special design or text that makes your brand or cause stand out. Don't be afraid of going lengthy! 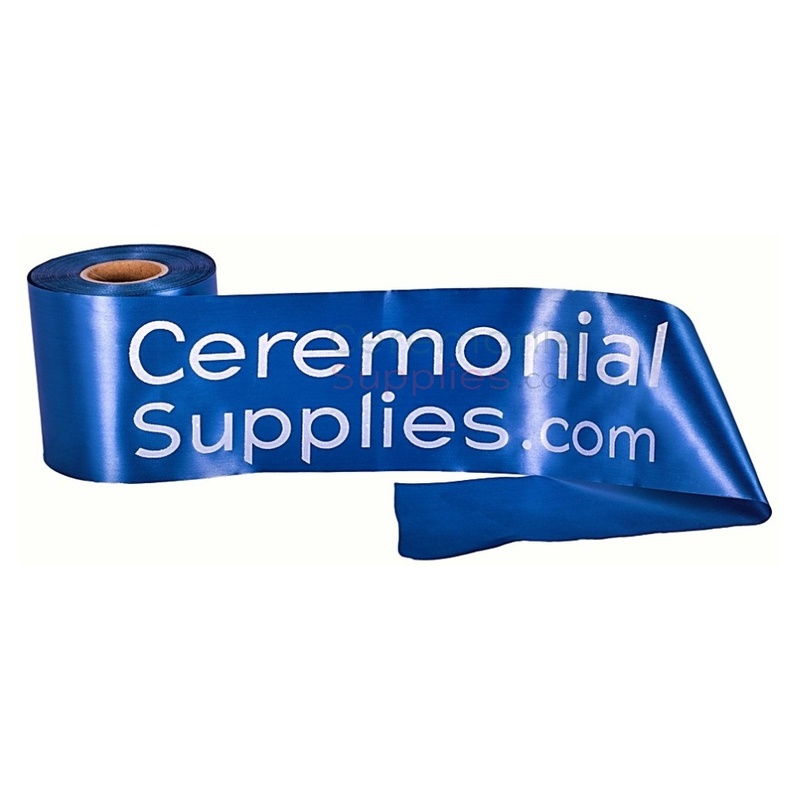 The advantage of additional yardage offers an opportunity to boost your event by expanding the theme using sashes that identify key personnel or staff, or use as wrapping ribbon for VIP gift baskets, and many other post-event uses. Watch the promotional impressions of a groundbreaking ceremony or the celebration of an important achievement increase with photos, videos, or media coverage that feature the lasting effect of customization.